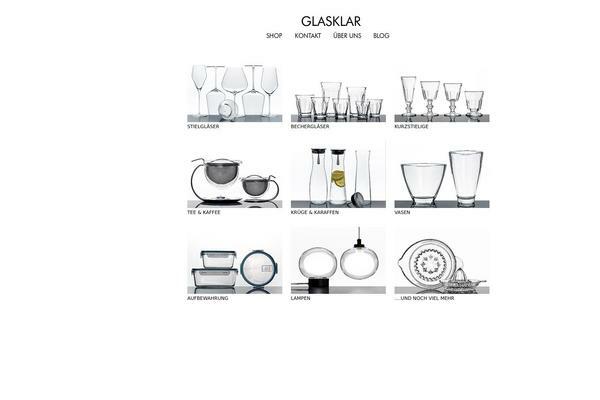 We started with a full SEO analysis that quickly discovered the weak points of the shortly launched online shop. 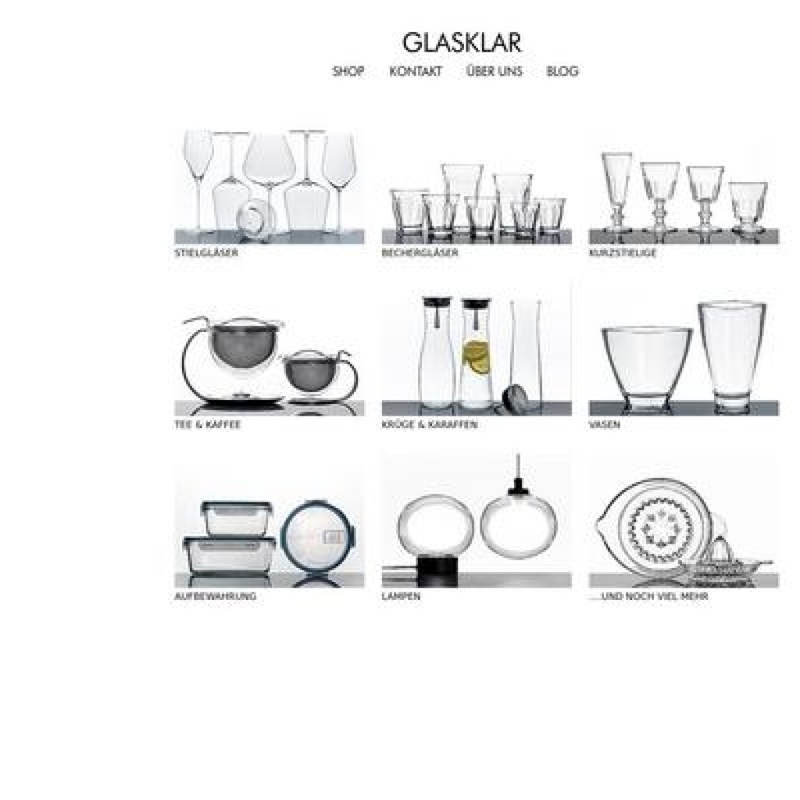 Based on these findings, Big Bang & Whisper developed a comprehensive concept to optimise the webseite which lead to a full relaunch with a new shop system in the backend. The tailored solution with a professional shop system (Shopware instead of WordPress with plugins) made it possible to implement SEO recommendations very targeted and effectively. 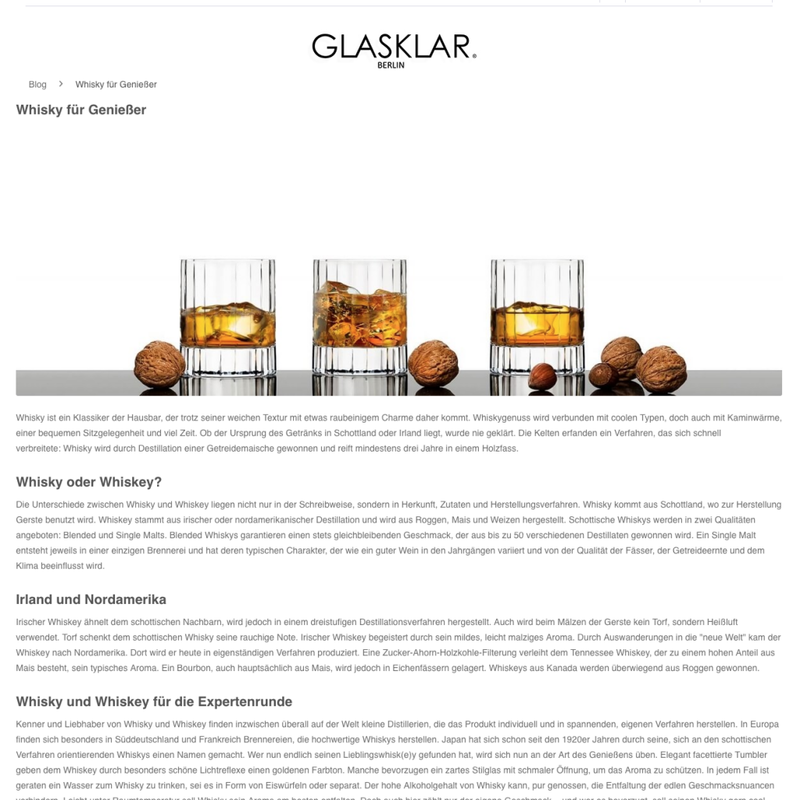 Focus keywords for each product, meta keywords, product specific content and a blog system with seo features for a product focused content marketing were implemented. 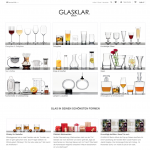 The full relaunch of the shop system was made in line with the existing corporate design, for existing customers the known brand image remained. 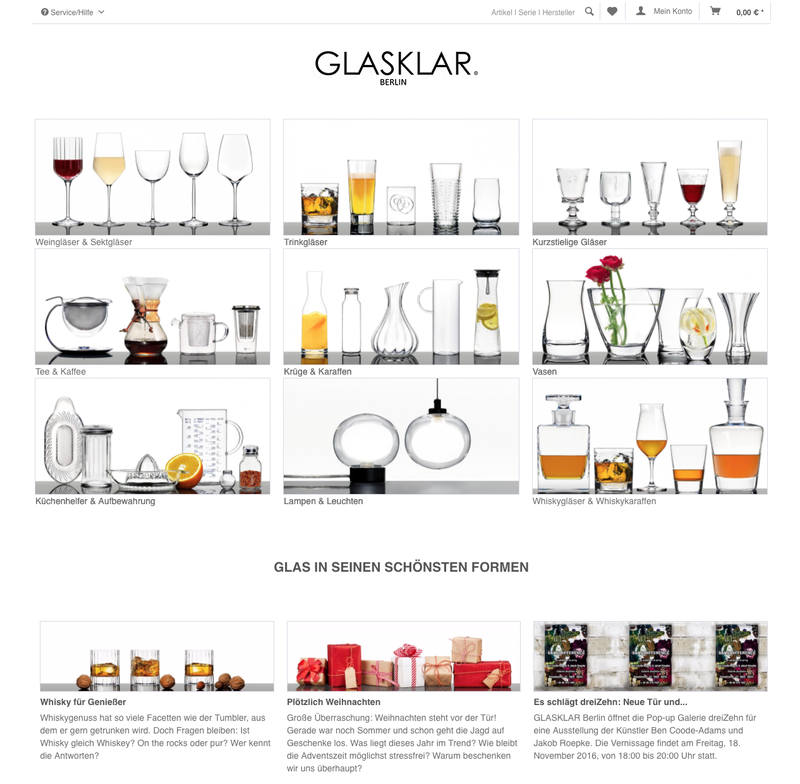 glasklarberlin.com got a professional shop system with reviewed shop categories and a professional backend for an efficient analysis of all processes throughout the whole customer journey on the page. A link to Google Analytics allows the shop to have a full overview of all conversions. 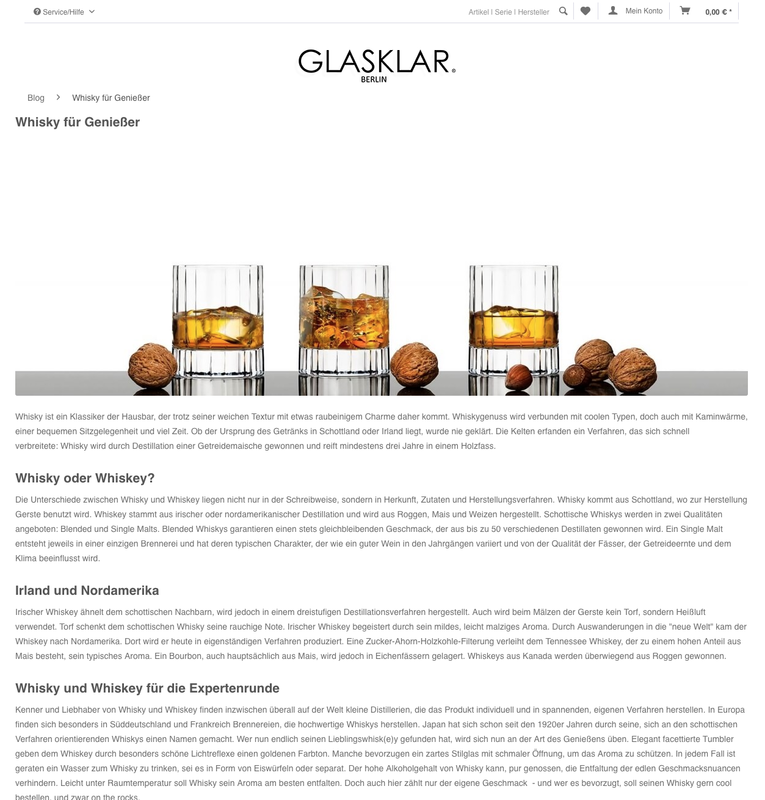 Product and category performance are clearly visible now, based on facts and figures further optimisations can be made. 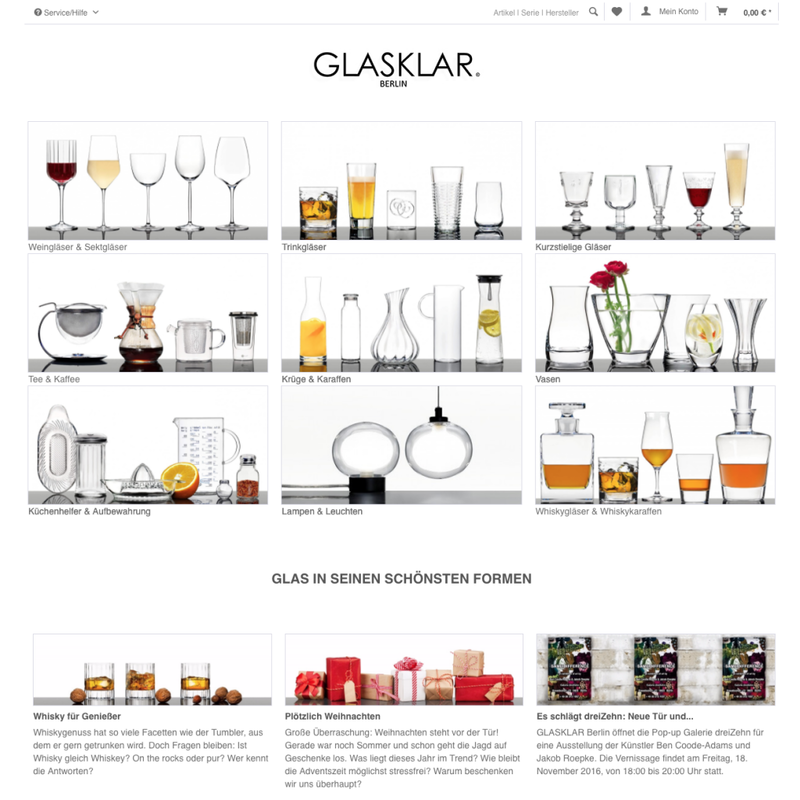 Thanks to an SEO optimised online shop, GLASKLAR Berlin significantly increased leads and revenue online.